Biomolecules are molecules that are specifically found inside of living things and have some function related to life. This includes molecules found in plants, animals, insects, bacteria, or even viruses (which are often considered not to be “alive” in a technical sense). Biomolecules span a wide range of sizes, some weighing only about 50 atomic mass units (amu), while others weigh millions of amu (see “Atoms and Molecules” to review the definition of amu). They are in our hair, skin, tissues, organs, and just about everywhere else in our bodies too. 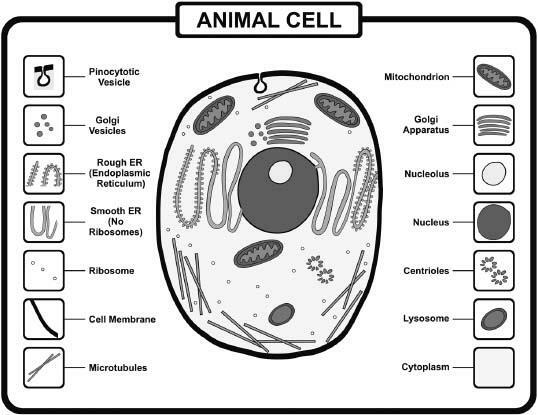 Cells contain a variety of organelles, which carry out specific functions for the cell to survive. Lipid bilayers separate the organelles from the rest of the cell.